Do you want to lead the next phase of public education reform? Join us! The Community Group is nationally recognized for operating education programs that have closed the achievement gap. We operate public charter and district schools as well as a diverse array of early education programs, out-of-school time programs, and programs that serve educators and parents. Do you want to give urban children the educational opportunities that they deserve? See where you fit in! 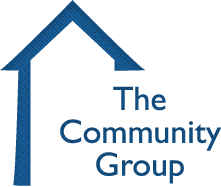 The Community Group is fully committed to Equal Employment Opportunity and to attracting, retaining, developing and promoting the most qualified employees without regard to their race, gender, color, religion, sexual orientation, national origin, age, physical or mental disability, citizenship status, veteran status, or any other characteristic prohibited by federal, state or local law.We are dedicated to providing a work environment free from discrimination and harassment, and where employees are treated with respect and dignity.